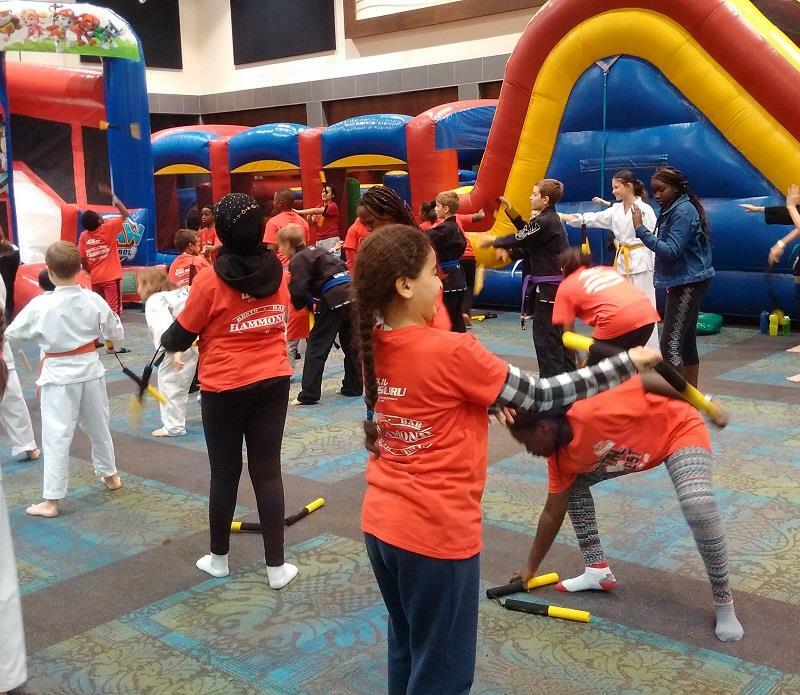 On November 3, Capital Conquest 2018 welcomed hundreds of martial artists from North America and Europe. About 20 youth from the Banff Avenue Community House also joined in on the fun. In addition to seminars on martial arts and fitness, the kids learned basic nunchaku techniques. It was a fun environment, there was even a kid zone set up for the kids with a bouncy castle and slides, even free Slush Puppy refreshments. John Therien was happy to provide free passes and T-shirts for all the kids. "It's great to see them having so much fun. 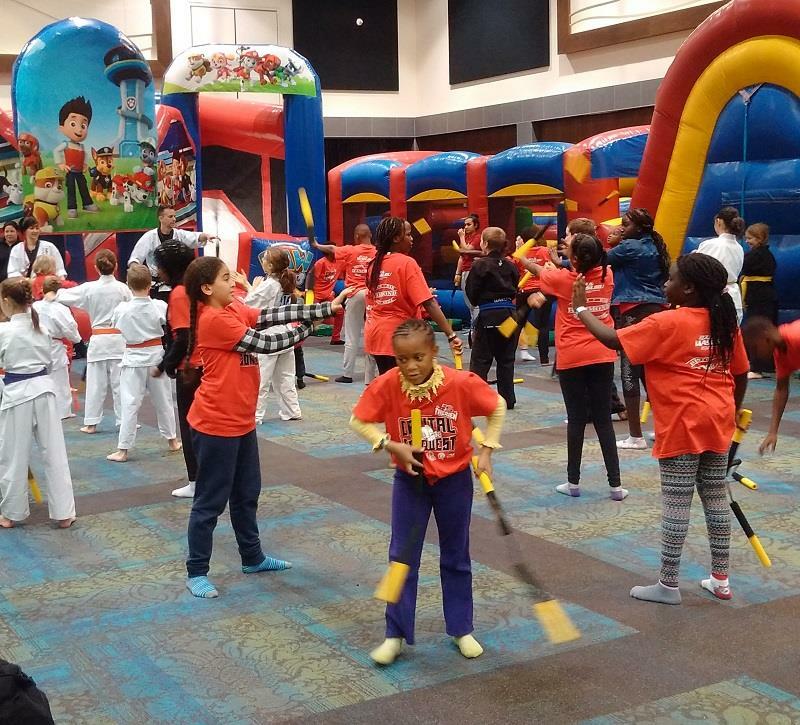 Martial arts are great for kids - physically and mentally. We have many young kids and teens at Therien clubs and many parents say that it helps them with their schoolwork and keeping focused. So why not share this day when we have martial artists from around the world and great instructors to guide the kids." Rotary Club of Ottawa South arranged the outing and paid for the bus to transport the kids. Charlotte Locke, a Child & Youth Worker wit the Banff Avenue Community House coordinated the youth and supervised during the outing. Her email ummed it up nicely: "Thank you so much for giving the kids the opportunity to participate in Capital One Conquest this year! They had a blast." The Capital Conquest event has been going strong for over 25 years and was held at the Palais des Congres in Hull-Gatineau. This is the second time that arrangements have been made to include youth from Banff Avenue Community House. RCOS has been involved with Sylvie Manser and the Banff Avenue Community House for many years and help to sponsor a post-secondary bursary.